Bellator MMA today confirmed that Birmingham’s very own Fabian “The Assassin” Edwards (6-0) will join the main card of Bellator Birmingham: Primus vs. Wilde, where he will take on Portugal’s Falco “Telelo” Neto Lopes (11-9) in a middleweight clash, while current Bellator Kickboxing welterweight champion Raymond “The Real Deal” Daniels steps inside the Bellator cage for the first time against longtime London combat sports veteran Jon Durrant. In addition, Manchester’s Kane “The Danger” Mousah (11-2) joins the prelims, where he will make his Bellator debut at lightweight against fellow debutant Mateusz “Juhas” Piskorz (14-4) of Poland. The news follows the announcement that lightweight prospect Ryan “Big Baby” Scope and American Derek “The Stallion” Campos will co-headline the second card of the 2019 Bellator European Fight Series. 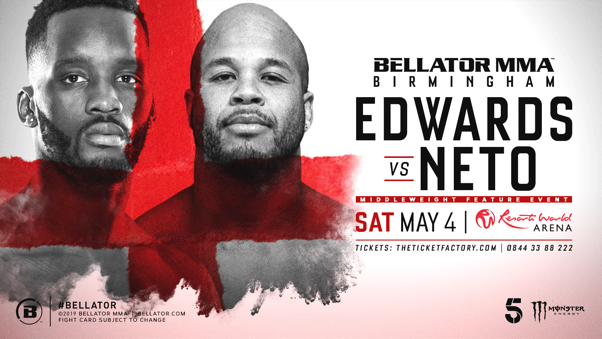 Middleweight prospect Fabian Edwards will put his undefeated professional record on the line when he makes his second appearance of 2019 at Bellator Birmingham. Edwards, who trains at Team Renegade in Birmingham, made it two wins in two outings for the promotion at Bellator Newcastle: Pitbull vs. Scope in February, following a unanimous decision victory against veteran fighter Lee Chadwick. 25-year-old Edwards will be fighting in Birmingham for the first time since turning professional and another win will further cement his status as a rising contender in Bellator’s middleweight division. Hoping to silence what is sure to be a raucous home crowd on the evening will be Bellator debutant Falco Neto, who fights out of Portugal. 33-year-old Neto joins Bellator from Portuguese MMA promotion Porto Fight Club following a win in the main event at PFC 3 in June of last year. The Portuguese athlete will be hoping to add another knockout finish to his win column, after securing seven of his 11 wins by KO/TKO in his previous professional bouts. Known for his flashy fighting style and entertaining walkouts, Raymond Daniels has established himself as one of the most successful American kickboxers over the past decade. 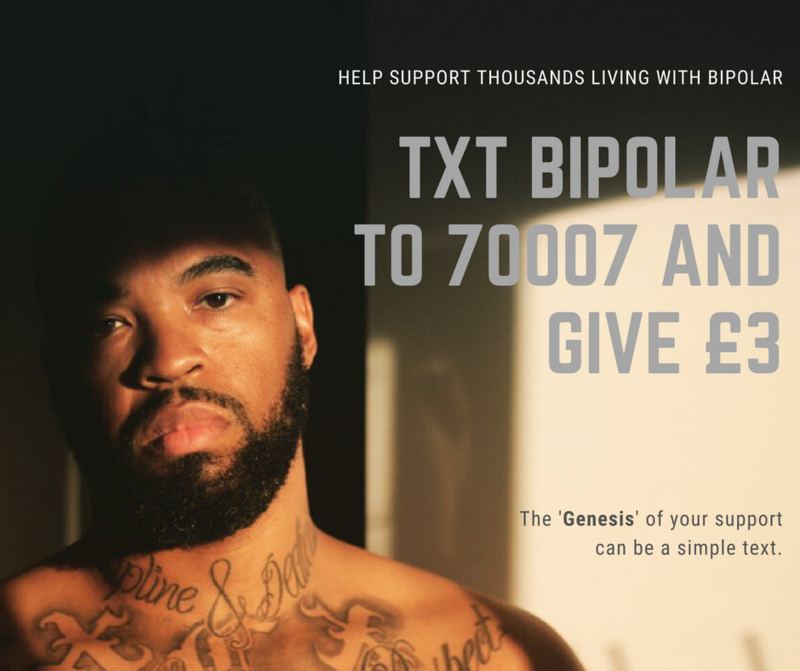 Fighting out of Southern California, he began competing in sport karate and later moved to full-contact kickboxing, where he went on to defeat Stephen Thompson and Chidi Njokuani. Having won the Bellator Kickboxing welterweight title in 2017, Daniels now revisits his MMA career following an initial foray into the sport at a Strikeforce event in 2008, looking for the same results that have propelled him to the top of the kickboxing ranks. The only man standing in his way is Jon Durrant – an experienced and versatile combat sports veteran, who became ISKA world champion in 2018. Operating and coaching at several gyms throughout London, Durrant’s passion for the sport has led him to become one of Britain’s most well-respected and sought-after instructors. In addition, he has become a successful promoter of “white-collar boxing” events that support local charities. 30-year-old Kane Mousah, who was recently signed to a full-time Bellator agreement, will also make the walk for the first time under the promotion when he joins the preliminary card at Bellator Birmingham. “The Danger”, who trains at Team Roughhouse in the East Midlands, will be hoping to pick up where he left of in 2018 following a win in his most recent fight at Celtic Gladiator 22. Standing in his way will be 26-year-old Mateusz Piskorz, from Warsaw, Poland. Despite his young age, Piskorz has been a professional MMA athlete since 2010, amassing a total of 18 fights during that time. His most recent bout came in May 2018, where he won via knockout in the first round in Khabarovsk, Russia under the Modern Fighting Pankration promotion. For all Bellator Birmingham: Primus vs. Wilde announcements, follow@BellatorMMA and @Bellator_Europe on Twitter for all the latest updates.